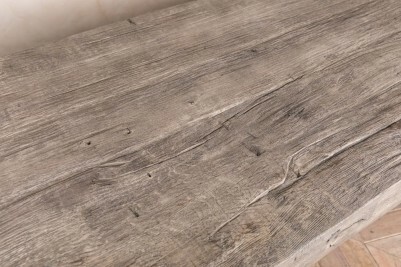 This traditionally styled large oak dining table oozes rustic charm. 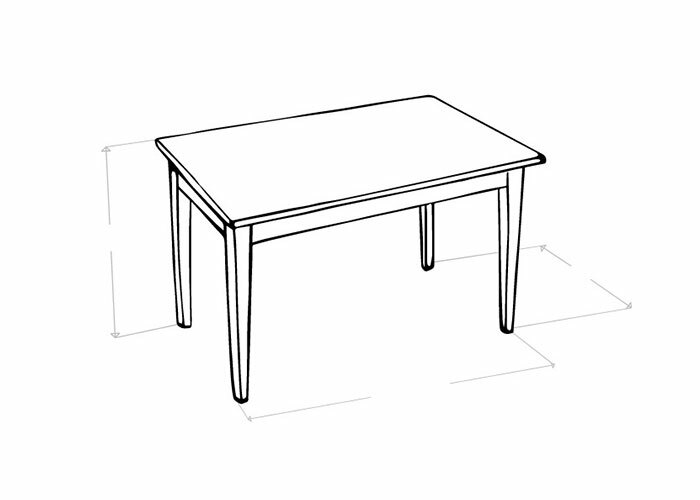 The ‘Miller’ table has a pebble grey finish and is available in three sizes: 2m, 2.4m or 3m. 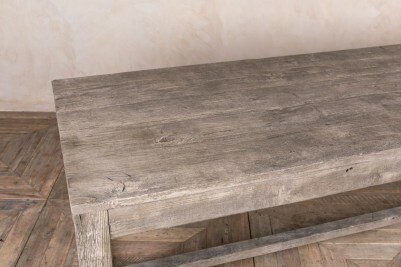 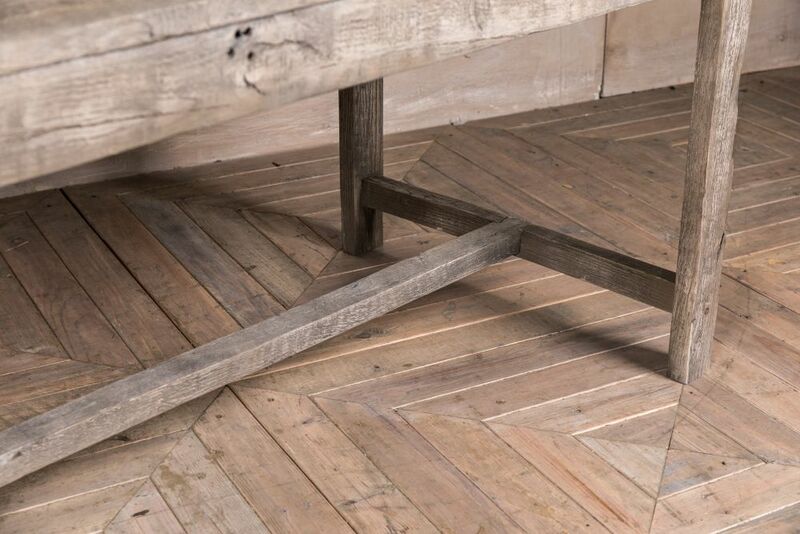 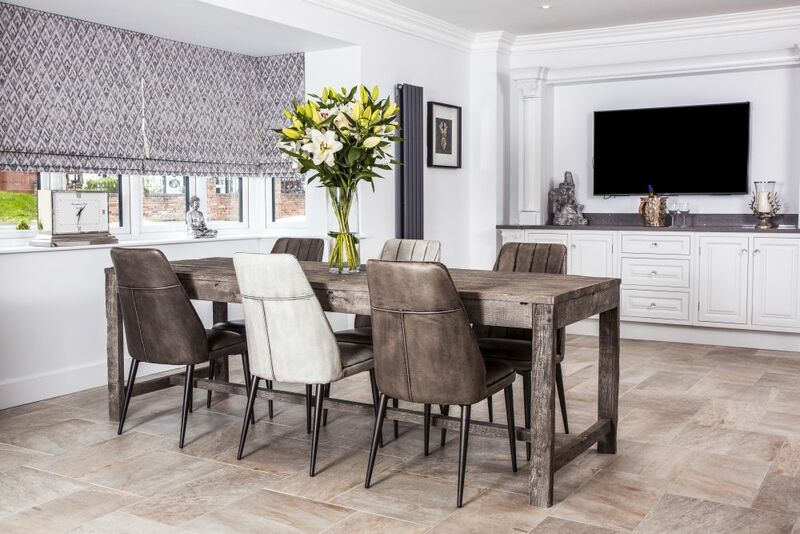 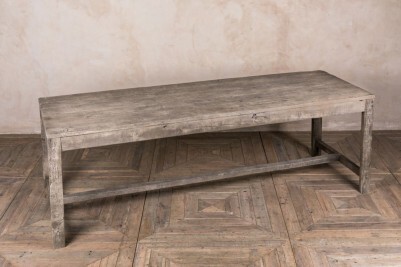 With its chunky design and rustic oak surface, this table is ideal for a range of interiors. 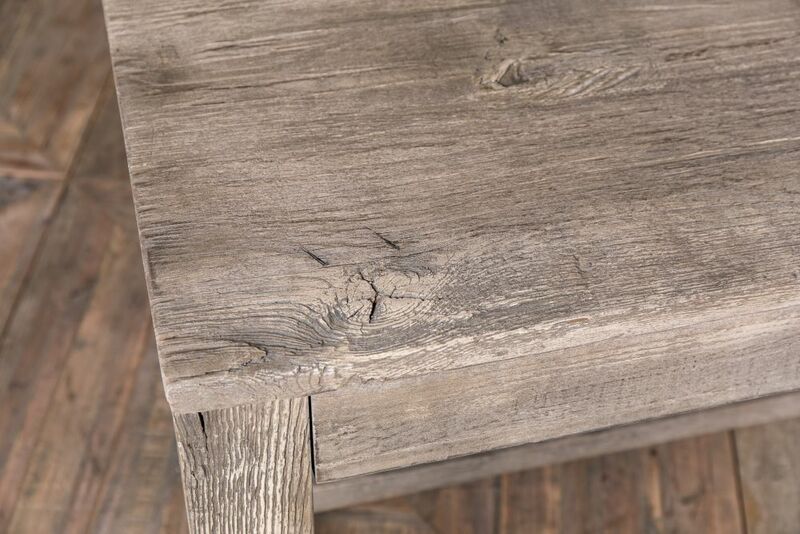 It would look fantastic in a large farmhouse kitchen or dining room and would equally suit a country pub or restaurant as a central feature table. 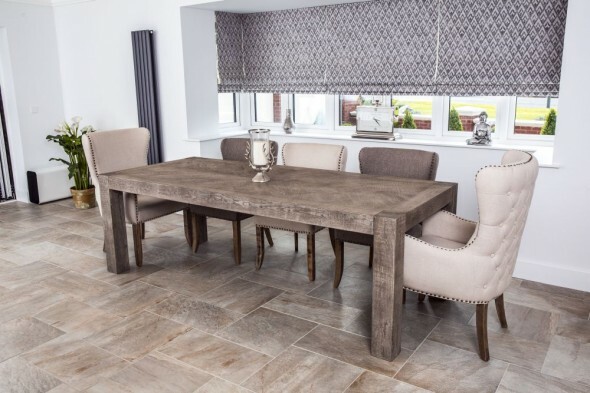 Here, we have paired the table with our ‘Admiral’ and 'Nelson' dining chairs, which can be purchased separately. 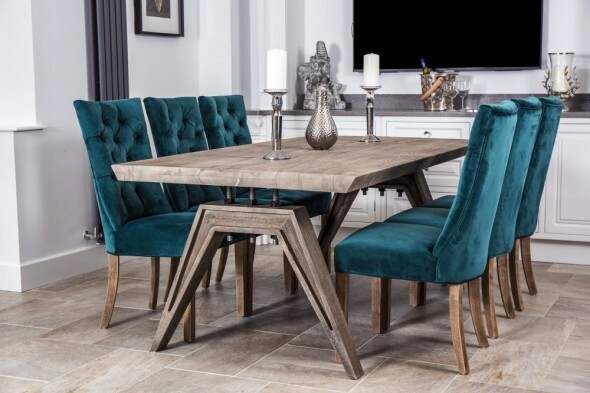 This table would look equally well with upholstered chairs; browse our full collection of dining chairs to find the perfect match. 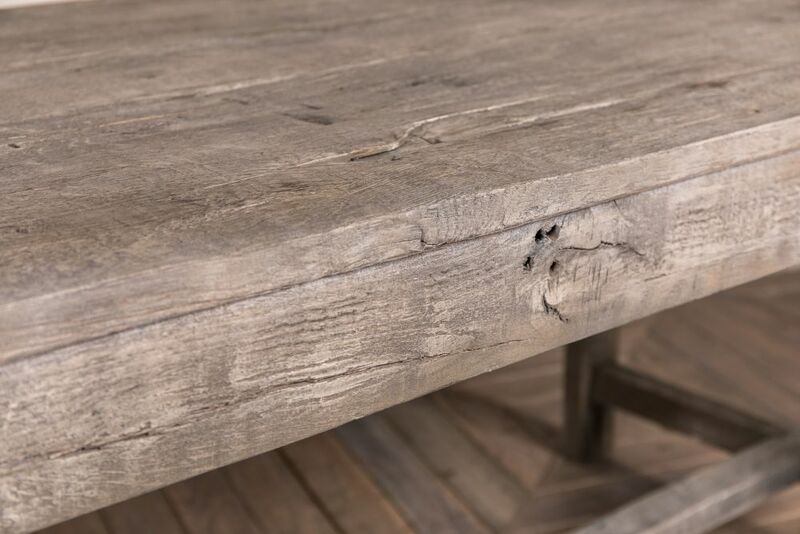 This large farmhouse table has all the characteristics of reclaimed wood, with notches, knots and other marks adding further to its charm.